It’s been 1/6 of the journey but not much thing has been disclosed, apart from the characters’ pasts. While everything has been moving smoothly, especially the storyline and the surprises, there’s more coming in the next episodes. If the past was quite a thrill, the future will be more intriguing and addictive. Inside the forest, Moo-Hyul continues to search for Jeong Do-Kwang when someone is moving towards him. He defeats the person with a single blow, and the person is Ddol-Bok. He tells the boy, who’s injured by his sword, to run away before he hurries off. On the other side of the forest, Jeong Do-Kwang has been shot by one of Park Eun’s man. He entrusts his assistant, Seo Jin, the pouch that belongs to Ddol-Bok and tells him to tell everything to his son, Jeong Ki-Joon. However, his plan to escape is all in vain: he gets shot with countless number of arrows but continues his journey with all his might. 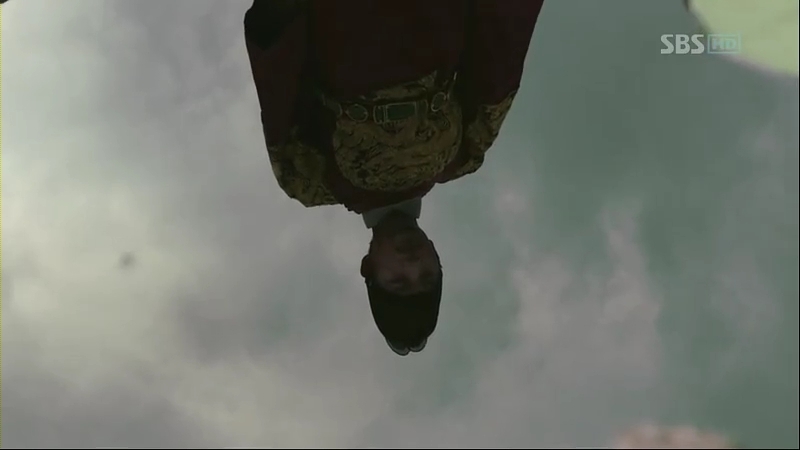 Jeong Do-Kwang surrenders and without any mercy, he’s immediately killed and Moo-Hyul can only look at him from afar. Seo-Jin arrives at his destination, where Jeong Ki-Joon is hiding. He gives him the pouch and entrusts him to retrieve the Mil-Bon book before he dies. Ddol-Bok is watching the guards carrying away Jeong Do-Kwang’s dead body when he’s startled by the horse that he stole away from Jeong. He takes a look inside the bag and finds the Mil-Bon letter. He takes it with him. Moo-Hyul reports it to King Sejong and he’s relieved to know that Jeong Ki-Joon is still alive. Meanwhile, Ddol-Bok goes to a place where all the dead bodies of Shim Residency’s servants are dumped to search for Dam-Yi. He finds the lipstick case that he gave her before near some bones, much to his regret. Ddol-Bok swears to return someday and sets off. Time passes by, and Ddol-Bok is trying hard to make people at the military camp somewhere in the North to accept him. 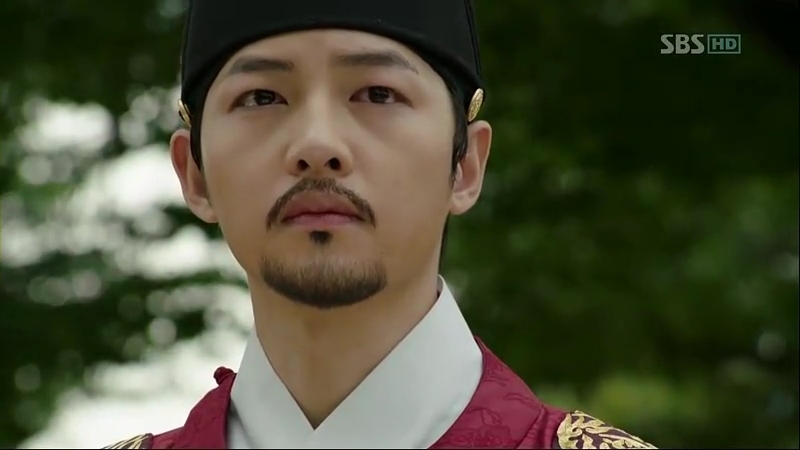 At the palace, Taejong has fall into sickness but he’s still trying to persuade Sejong, who never has the intention to change his way of thinking. 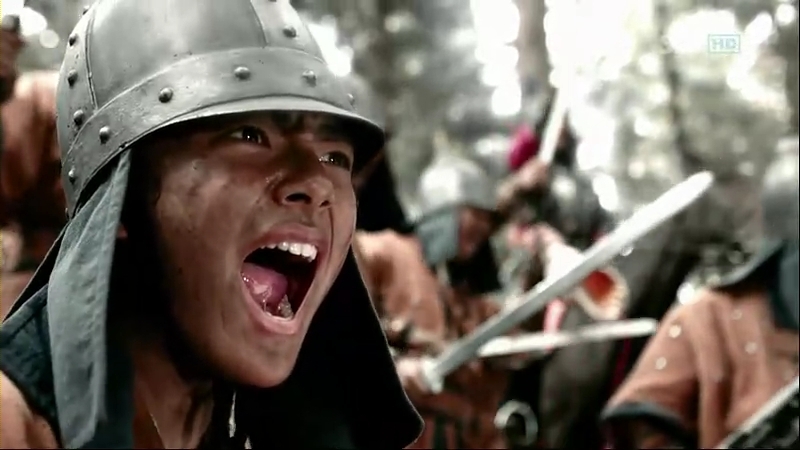 Sejong tells him that he’ll not easily be defeated and gives back his father’s words to him: a King’s position isn’t an idle one. 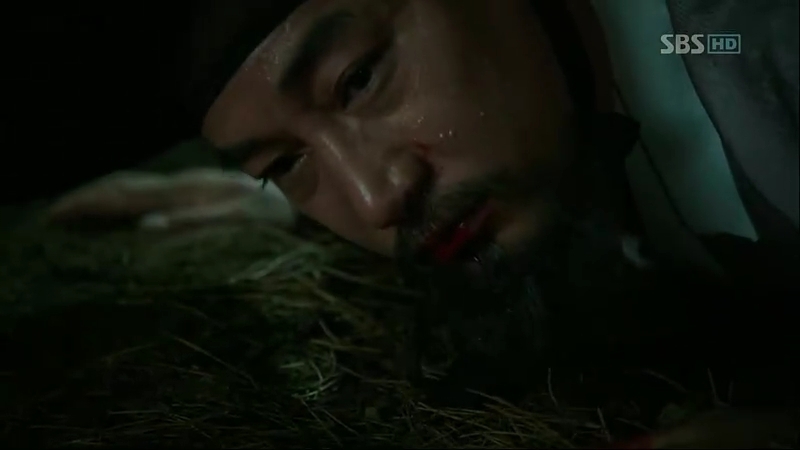 Taejong’s last words to him “Do the things that you’ve said and accomplish your goals, so that giving you the throne is my greatest achievement.” He passes away and Sejong realizes that the world without a Yi Bang-Won has come. Ddol-Bok, finally joining a battle with the soldiers, fights with all his might. A few years pass by, and now, Sejong is a king who hates official ceremonies and loves spitting out curses and bad words. He, however, doesn’t let his routine discussion with the ministers, known as Kyeongyeon, to be postponed or cancelled easily. Unlike him, some of the ministers, especially Jo Mal-Saeng, complain about the discussion that has never been put away under any circumstances, although to date, they have conducted thousands of sessions like that. The ministers then gossips about the real reason behind Jip-Hyun Jeon’s establishment, whether it’s really Sejong’s wish to read books and gather the scholars. Meanwhile, someone from the North has come to the palace and the news is told to Moo-Hyul. Kyeongyeon has started, with the scholars and ministers sitting facing each other. Sejong then enters and questions why an issue that has been discussed is brought back into the session. He then argues with Jo Mal-Saeng on the issue of betrayal and happy when it can be discussed with everyone, one of the advantages of holding such discussions. King Sejong then gives out the questions about Chun-Tzu’s teaching, which isn’t fully implemented in a country like Joseon that claims to practice Confucianism. Seong Sam-Moon (Hyun Woo), one of the scholars, senses something is missing and tries to voice out his opinion. 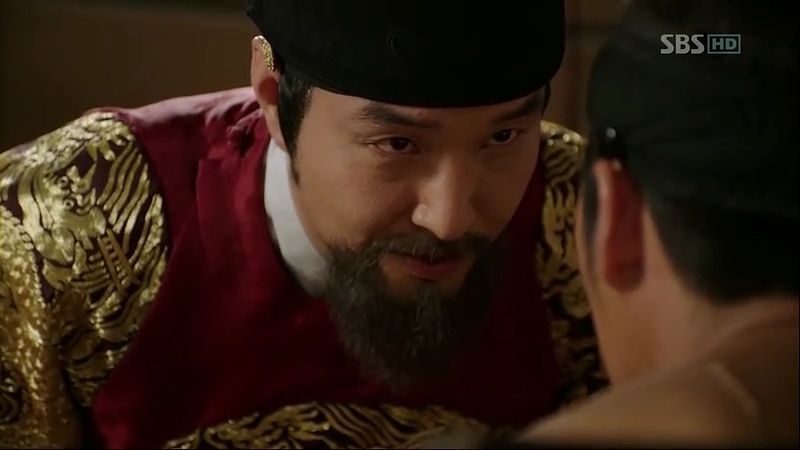 When the ministers start to chide him for his impertinence in front of the king, Sejong tells them that if this is happening, how he’s going to hear his people’s opinions? Moo-Hyul comes over to deliver the news to Sejong about a military official that has been murdered in the North border. The person that comes to the palace bringing the news has been recommended to be a palace guard. Moo-Hyul goes to see the person: it’s Kang Chae-Yoon, trying to avoid being punished after trying to bribe the officers. He is then brought to meet Moo-Hyul and starts praising him to get closer to him. Chae-Yoon tries to bribe him, but unfortunately, Moo-Hyul’s anger makes him being punished. His goofy character is only a façade to his real, cold character. He begins plotting his revenge on Sejong, or Yi-Do. Two guards are patrolling around the place when someone passes by, unclear to their sights, the same time when an owl hoots. Chae-Yoon, on the other hand, is busy calculating the number of steps at the Sam-do, the road that only the kings can walk on. Sejong is also busy discussing with Jeong In-Ji (Park Hyuk-Kwon) about the murder that makes him uncomfortable. He decides to go check one of the scholars in Jip-Hyun Jeon and runs into Chae-Yoon, who’s in the middle of looking around. 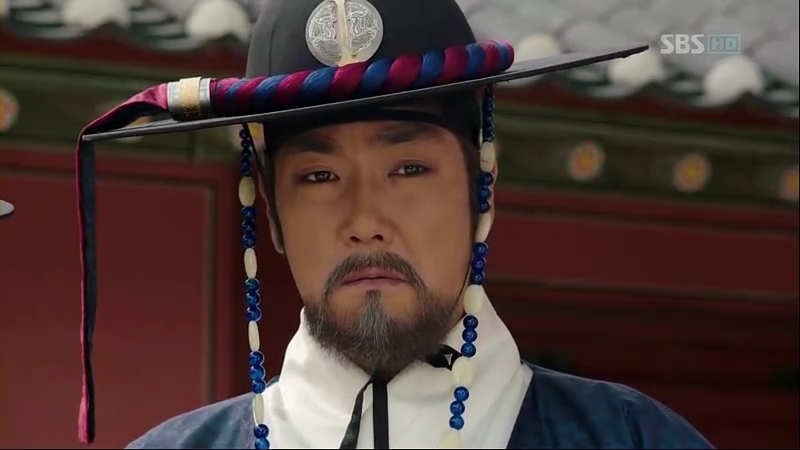 He weighs his chance to successfully kill Sejong but his plan is cancelled when Moo-Hyul comes. After Sejong leaves, Che-Yoon walks out and suddenly, someone runs on the walls behind him. He ignores it. Sejong arrives at Jip-Hyun Jeon and finds out that the scholar has died. The next day, the hall is closed and any entrance is prohibited even to the scholars. 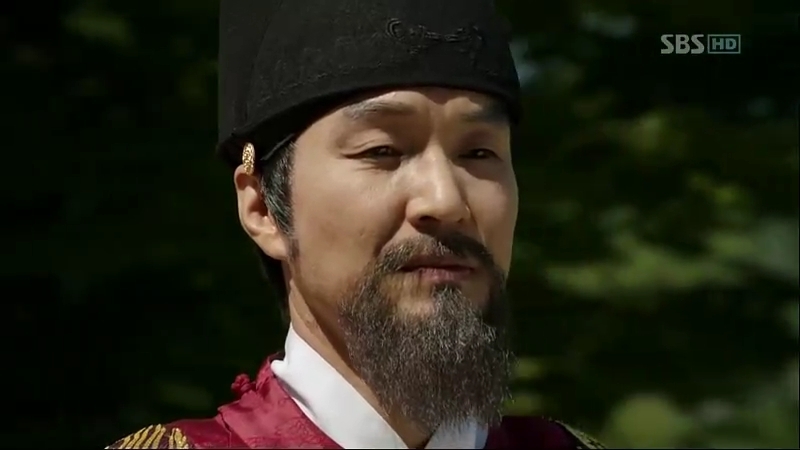 Sejong suspects that the murder in the North and he palace is linked and he’s troubled about the news that will spread like a wildfire among people. Chae-Yoon is the guard on duty in front of Jip-Hyun Jeon on that day. He enters the hall to learn more about Sejong’s movement but unfortunately, he’s caught by Moo-Hyul and arrested for questioning. Sejong gets the news about Chae-Yoon’s arrest but Kim Jeong-Seo, the general that Chae-Yoon worked under thinks that he’s not the real culprit. Chae-Yoon is questioned by Moo-Hyul himself and he confirms that it’s not a sudden death, it’s a murder. He decides to tell Moo-Hyul about the murder in the North. He’s actually the one who investigated the murder and gives Moo-Hyul the report. Suddenly, Sejong arrives and being in close proximity with him makes Chae-Yoon’s heart pounds. Sejong asks him about his theories and then appoints him as the investigator for the murder case. Failure will automatically make him the main suspect. Chae-Yoon then asks about his reward if he’s able to solve it. He wants to get a drink from him and Sejong agrees to pour him the drink personally. Thinking that it’s his only opportunity to take Sejong’s life without much resistance, Chae-Yoon pledges to himself to solve the case. With the death of Taejong, it shakes Sejong a bit as he realizes that no one is going to protect him except himself. From a stiff, timid king, he changes into carefree king that does everything in his own way. However, he’s still the king who loves his people and the knowledge more than the power that he possesses, but his principles can’t be shaken easily. It’s too early to make any guess about the murder cases, but the clues have been dropped here and there to create a guessing game between the characters. From the characters’ view, Chae-Yoon is the main suspect but the viewers know that he isn’t guilty. Sejong is quite affected by the murder and his decision to make Chae-Yoon the investigator of the case is not that favored by Moo-Hyul. With more characters coming into the big picture, it’s not an easy task for Chae-Yoon to solve the case and worse, his real identity might be found out by Moo-Hyul before he could do anything. Anyway, these two would would be missed greatly.